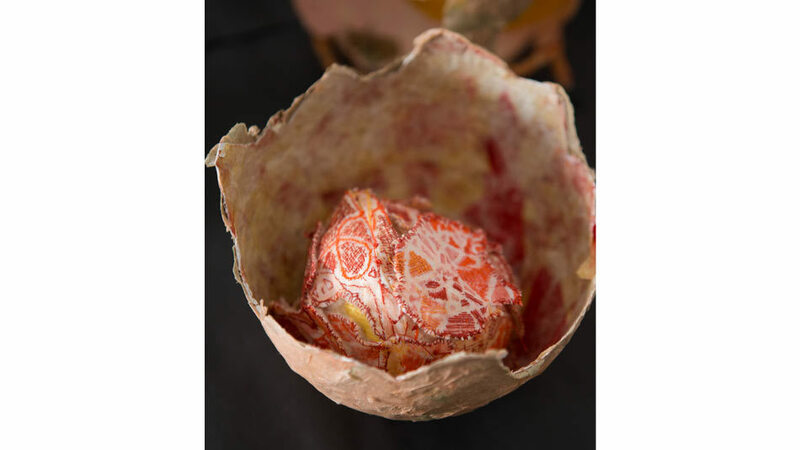 Aging and changing continues to interest me, and although an egg doesn’t really age visually, it can change its look. 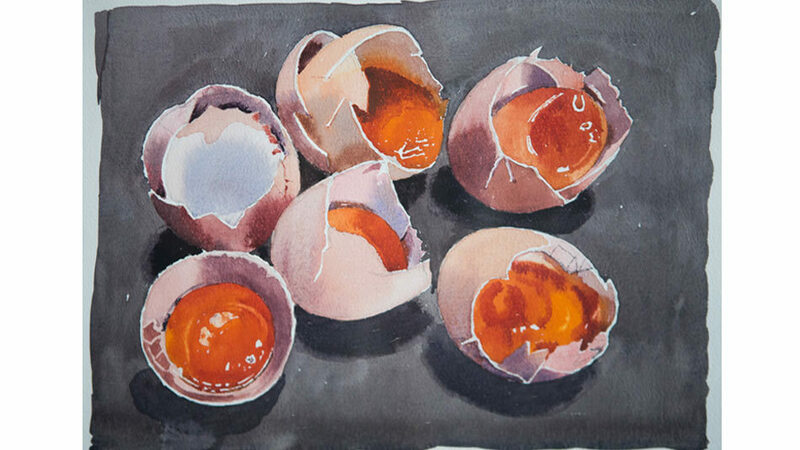 First I painted a whole egg – lovely tone, shape and colour, then I broke it – each time the halves were different – very stark on their own, and very succulent and rich with the yolk inside. Then I let the yolks dry out and crack a bit, and finally smashed it in to pieces – total destruction with the yolk almost seeming like blood. The same idea is made in 3D, the medium is papier-mache. 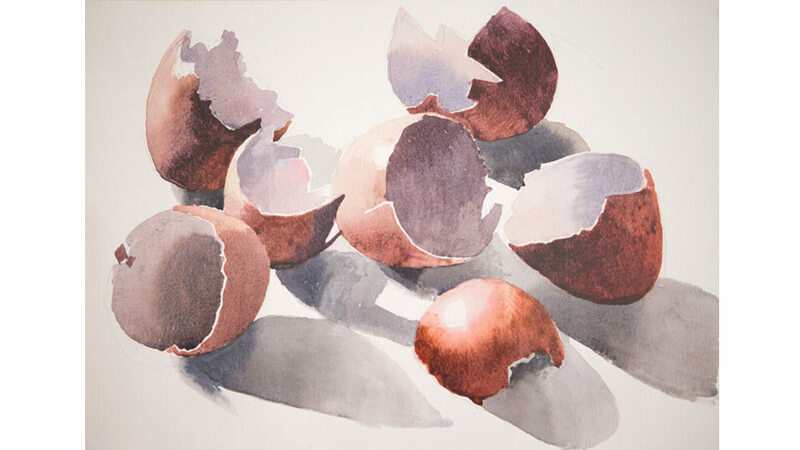 Here the egg is also shown as ‘life giving’, another stage. 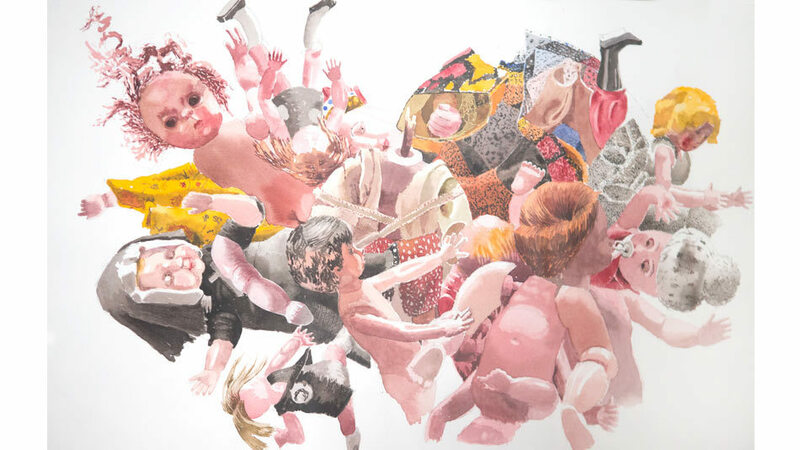 The destruction of those eggs took me to a project which coincided with the war in Kosovo, and I was actually looking at my daughter’s old dolls that were lying all over the place, and it reminded me of the way people were destroying each other. It was as if they had been murdered, and I had them hanging from the window because the light was so dramatic. I suppose it just reminded me of what people were doing to each other. The first doll was such a wreck and the light on her was so interesting. The way that she was hanging up there made me think that life goes on; the trees are green, the sun shines, and we’re totally dispensable and nobody really cares, and it was a sad thought.